All the experiments were conducted following the ASTM standards. The test program was conducted for fresh and hardened concrete properties. The fresh concrete properties consisted of the following tests: slump, Vebe slump, Vebe time, concrete temperature, air content and unit weight. The hardened concrete properties determined were compressive strength, static modulus, flexural strength, load-deflection behavior, comparison of load-deflection curves, ASTM toughness indices, first crack toughness, post crack behavior, Japanese standard method for toughness indices and equivalent flexural strength. 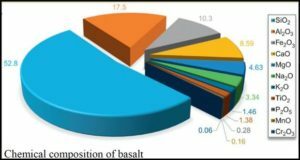 The test results show that the basalt fiber can be easily mixed in the concrete without any balling, bridging or segregation. 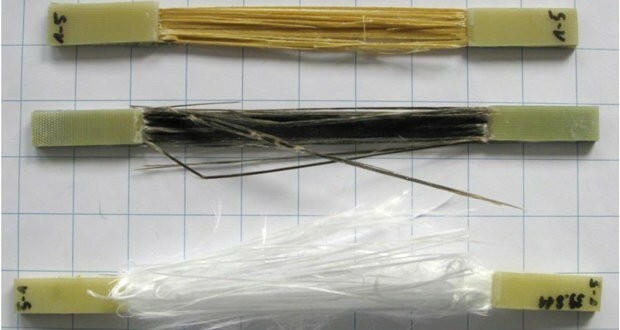 There was a noticeable increase in the post crack energy absorption capacity and ductility due to the addition of basalt fibers. The impact resistance increased as the fiber сontent increased. Tests were also conducted on beams reinforced with basalt bars, which were supplied by the manufacturer. 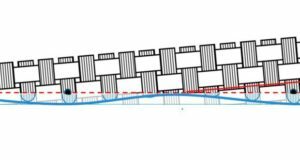 The load deflection curves were plotted and the toughness indices and first crack toughness were calculated in a similar way as the ASTM standards for the beams reinforced with basalt fibers. Toughness indices according to the Japanese Standard method and the equivalent flexural strength were also calculated. failed suddenly with breaking of rods. It was a sudden and brittle failure. 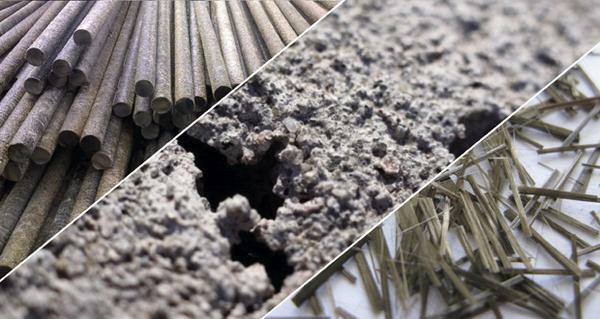 The ultimate-load and cracking-load moments and the deflections of the basalt rod reinforced concrete beams were compared. 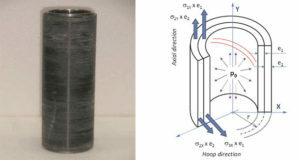 The tension tests were conducted on the basalt bars, and a cable, having two basalt bars twisted together. Graphs of stress vs. strain were plotted and the modulus of elasticity of the basalt bars was calculated. Final Report for Highway IDEA Project 45. V. Rarnalaishnan and Neeraj S. Tolmare, South Dakota School of Mines & Technolory, Rapid City, SD. Principal Investigator: Madimir B. Brik, Research & Technology, lnc., Madison, WI.